We have seen plenty of interesting drones in the past. A few of them require you to have some experience to control them with more confidence. The CyPhy LVL 1 Drone is different. 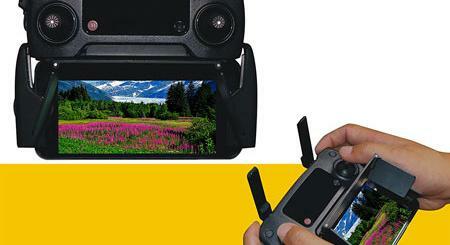 It combines an easy-to-use interface with Level-Up technology to provide you with smooth aerial footage. With Swipe-to-Fly, you can just swipe your finger on your smartphone to control it. The CyPhy LVL 1 lets you see what you are capturing and share photos and video while flying. It has a 8MP camera and a battery that lasts 20 minutes when fully charged. The design is weather and water resistant. The drone never tilts and stays within your designated area thanks to its geo-fencing feature. You can find out more on Kickstarter.